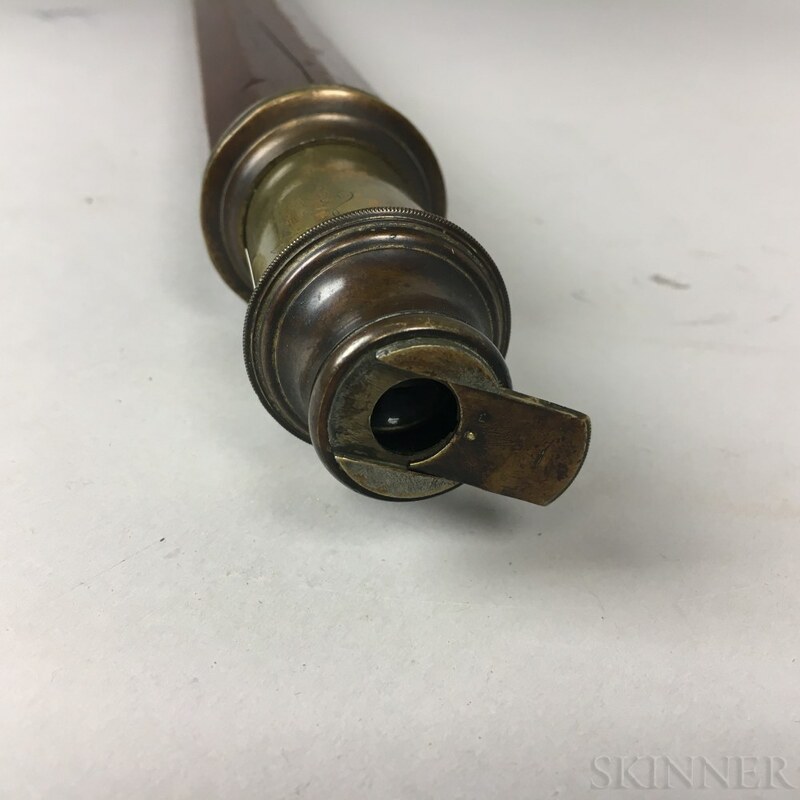 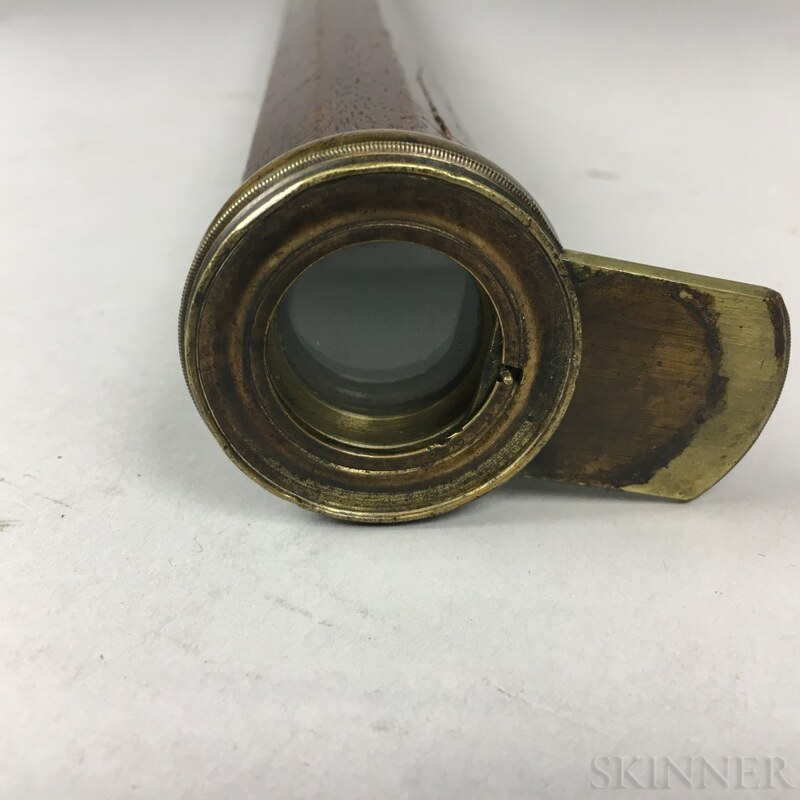 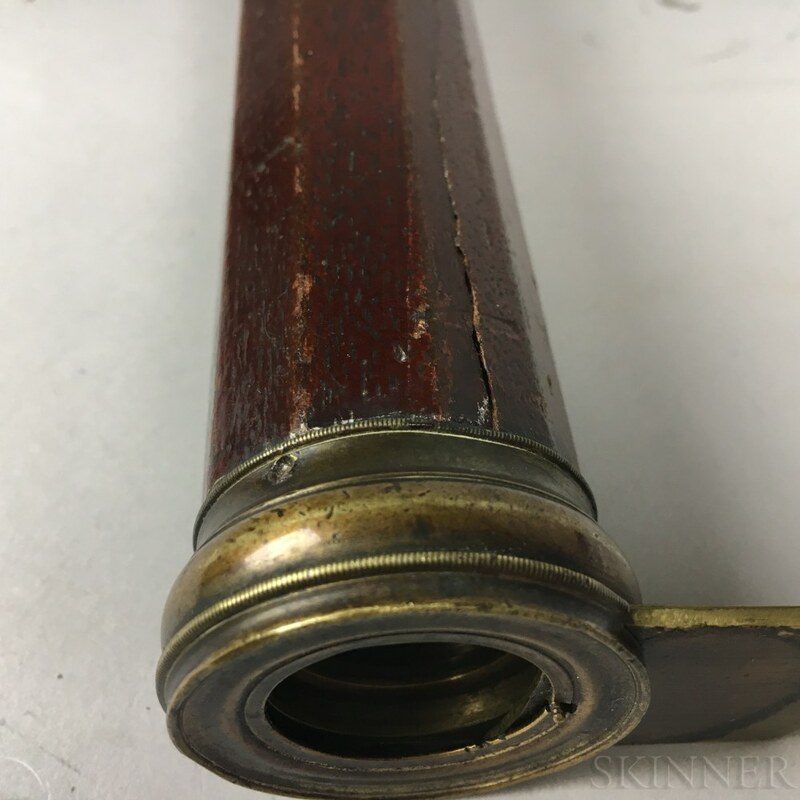 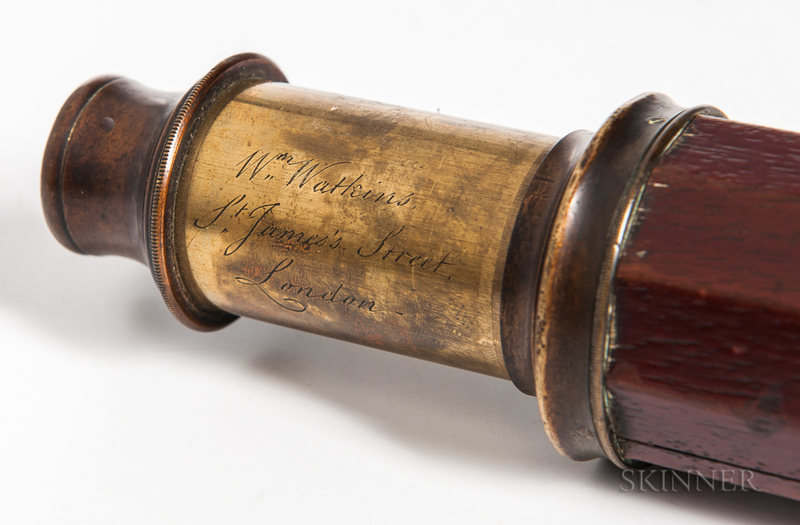 William Watkins Octagonal Reverse-taper Telescope or Spyglass, St. James Street, London, 19th century, mahogany barrel, with single-draw eyepiece engraved "Wm. 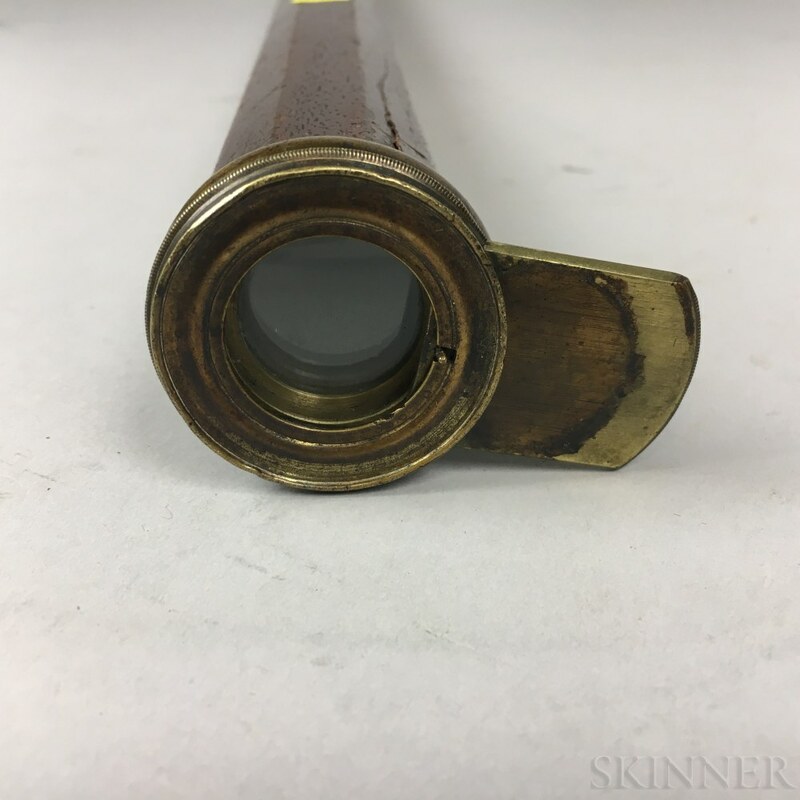 Watkins, St. James Street, London," each lens with sliding cover, lg. 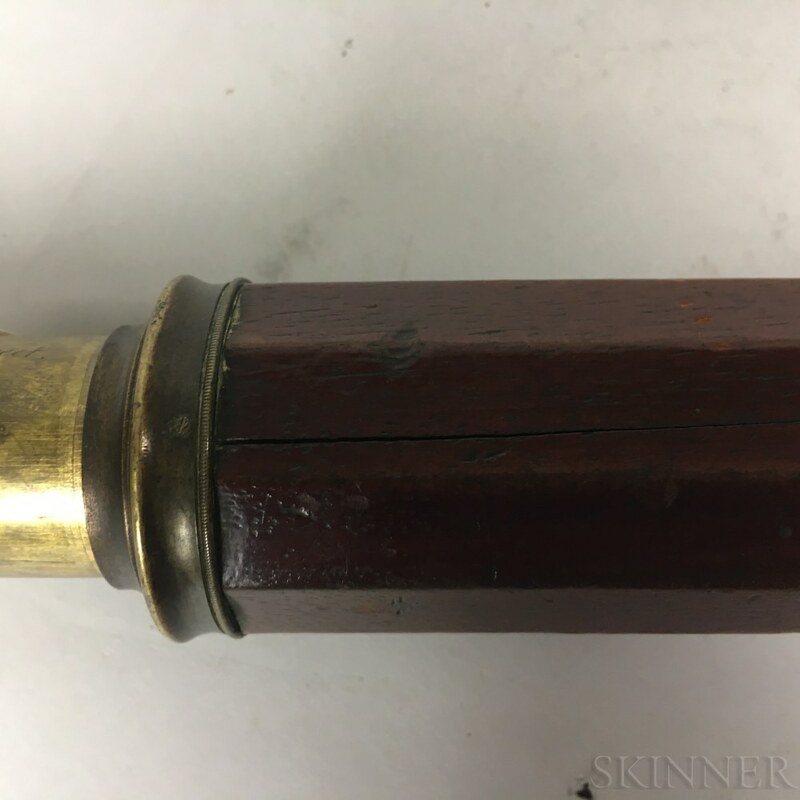 25 1/2 in.